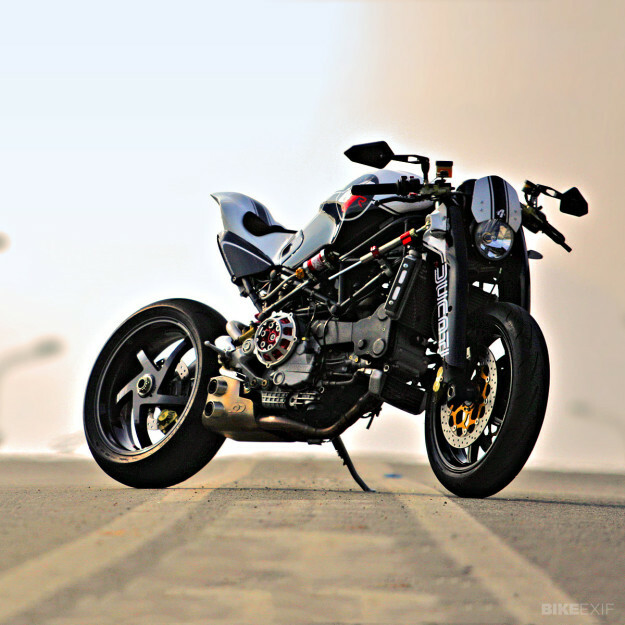 The Ducati Monster is one of the most iconic motorcycles of all time. 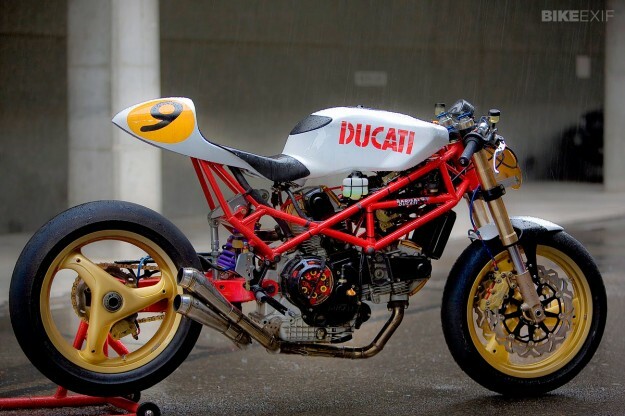 Since it went on sale in 1993, over 275,000 have rolled out of the Bologna factory—and they’ve kept Ducati financially stable over the past two decades. 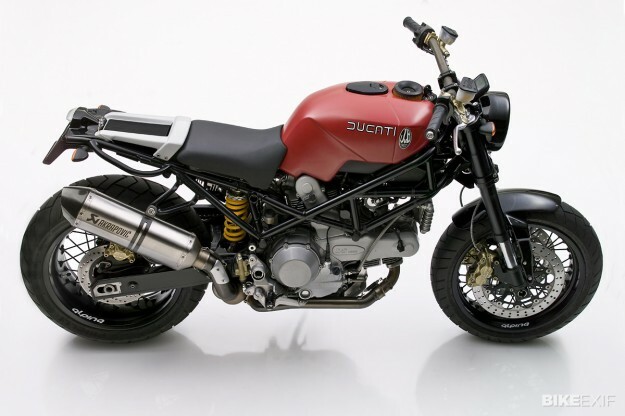 The first Ducati Monster, the M900, used a version of the air-cooled 900SS engine and pumped out 73 hp. The latest 1200S is water-cooled and has almost double the power, at 145 hp. 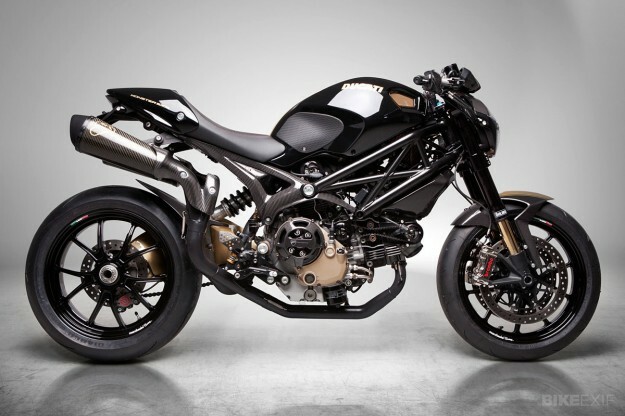 But the biggest seller has historically been the entry-level 696, which shipped 12,000 units in 2009. There have been numerous limited editions, celebrating everything from the Matrix movie to racer Carl Fogerty. 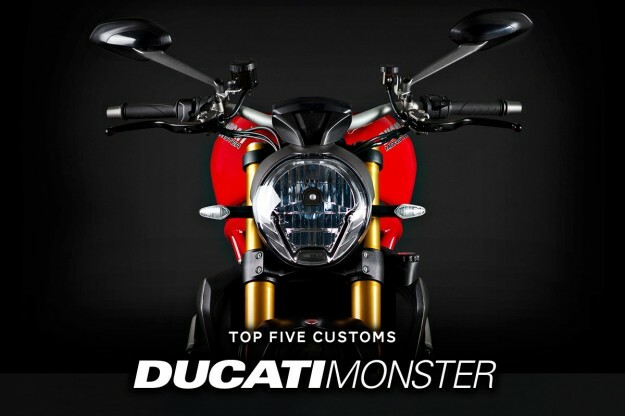 Surprisingly, though, there haven’t been that many high-profile custom Ducati Monsters. There’s no shortage of hop-up parts available, from solid engine upgrades to tacky bling, but relatively few big-name builders have given the Monster a complete overhaul. 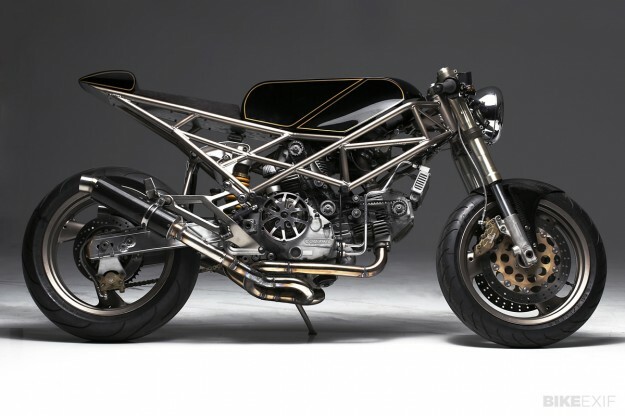 It’s probably a sign that designer Miguel Galluzzi got it right when he raided the Ducati parts bin in the early 90s. We’ve now decided to do our own raiding, this time through the Archives. Here’s our pick of the best Monster customs from the past decade. Last week’s Top 5 focused on the world’s best Triton motorcycles.